Shame on me, that I haven't posted pics of my wonderful Ndebele prize earlier - but I have worn it all the time and so love it. It feels always special to wear a stunning Faerybeads design. Gorgeous! The design reminds me of Navajo blankets. It's beautiful. Love it, must try to buy one. It's beautiful! 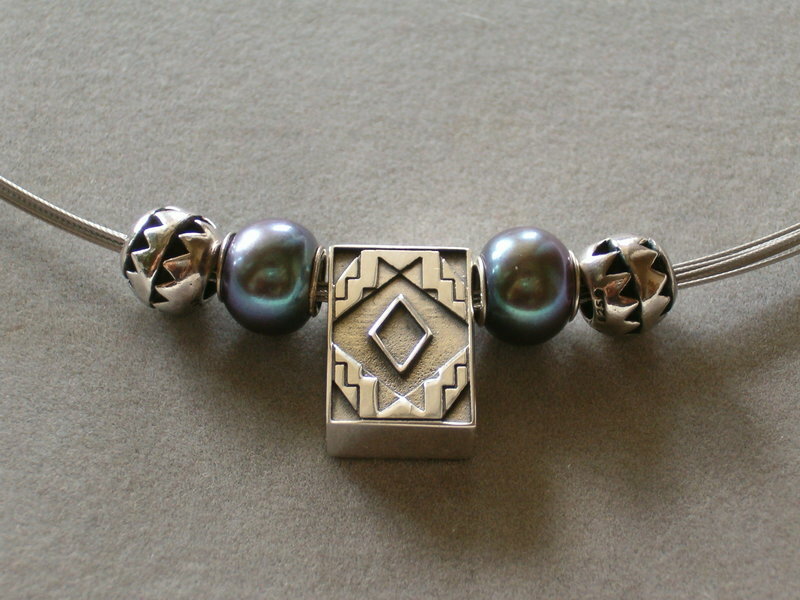 Congrats on winning this fab bead, it has a wonderful pattern. Haven't seen this one before on pics. minty, the pearls are Tb peacock pearls from loooooong ago - I wish, TB (or someone else) would release more beautiful pearls. Thank you Fleur. They are so shiny.. like a mirror and perfectly round as well and I love the purple hue. I love the peacock pearls, they have a glorious lustre? 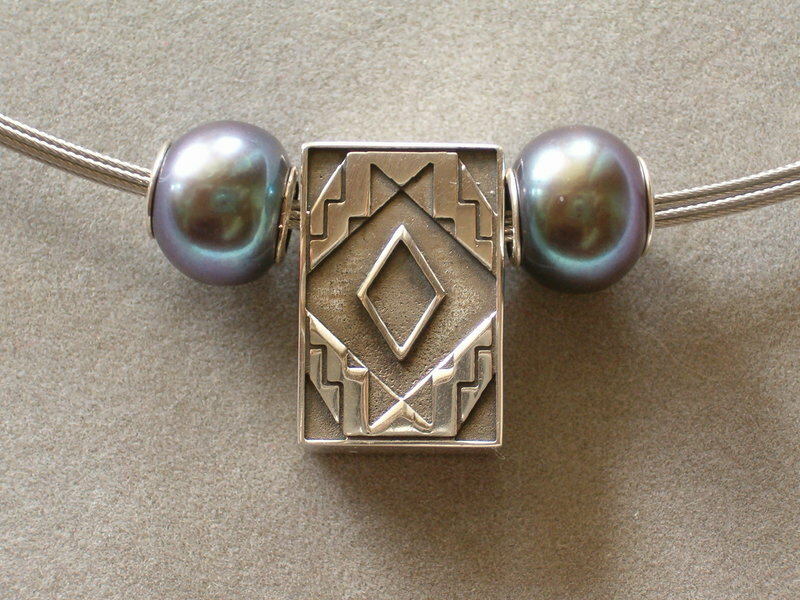 I know, that some people are looking for lovely pearls and would be happy to buy. I am one of them... I was hoping that maybe one of the glass artists could do the coring... I have no idea if I am able to drill the large holes for the silver cores into pearls, the ones you buy have usually just the tiny holes for normal pearl necklaces. Your Ndebele necklace is so beautiful! The aztec beads match the Ndebele perfectly and the peacock pearls are a feast for the eyes too. Great combo! Love it! I your necklace! So elegant! Simply beautiful, Fleur! I am delighted you love your prize!